/ How to buy the best Hunting Earmuff? 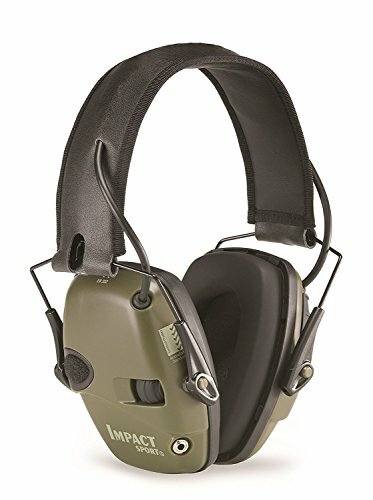 In order to provide protection to your ears from very loud gunshots that could cause permanent hear loss, it is important that you invest in good earmuffs that will provide ultimate protection against damaging noise. Earmuffs are relatively cheap and come in a handful of styles, designs, and function. What is the best hunting earmuff to choose? What is the acceptable decibel? These muffs are very affordable and yet they are capable of saving you a lot of money in the long run by steering you away from expensive hear-loss medications and devices. From this, determine the sound of each fire through frequency (from low to high sounds in hertz), duration (how long the sound lasts), and intensity (how soft or loud the sound is in decibels). When you have determined that, you can easily find the right hunting earmuff for you as the maximum decibel protection it can provide can be easily found in the packaging. There are basically two types of hunting earmuffs: The passive and electronic. Also known as "clamshell" ear protectors that look like normal headphones or stereo phones. 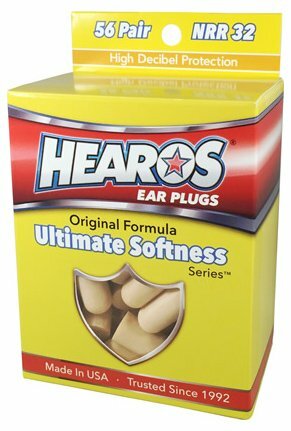 Many hunters find this type more comfortable than in-ear plugs because it doesn’t meddle with the insides of your ear. It merely covers it effectively with oversized padded material. The cheaper types of earmuffs have a foam ear cushion while some models have liquid filled ear cushion for cooler feeling when worn. Whatever you choose, both can give a good seal, protecting your ears against noise. Even your trusty mutt can be protected as well! You can purchase Mutt muffs for your dog so your hunting companion may be protected from the noise too. 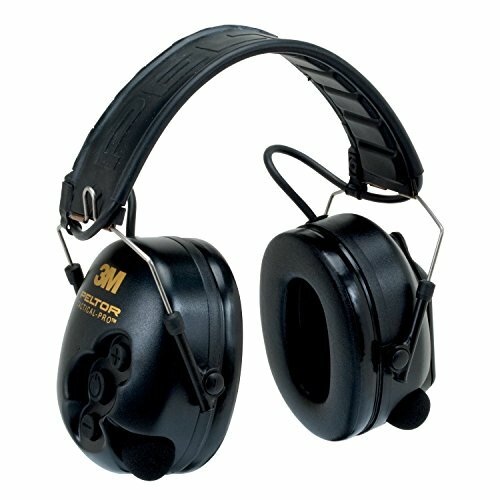 Most earmuff models have noise reduction ratings from 22 dB to 29 dB. The only downside of this type of hearing protection is that you won’t be able to hear anything at all, even conversations or movement of game. 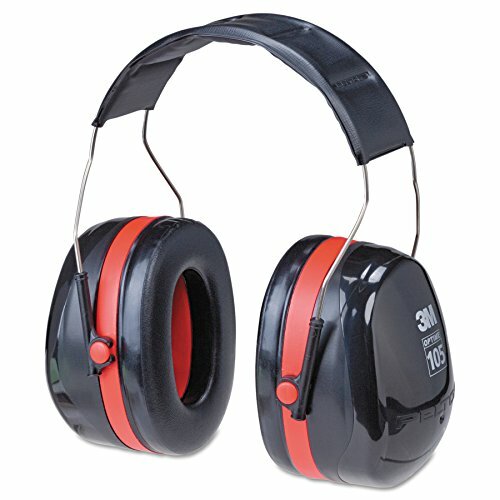 If you want to hear and at the same time keep protection, check out the next type, the electronic earmuff. These are the best solution to the hearing protection needs of the shooter, as it can protect it from loud harmful sound effectively while still being able to hear other sounds such as conversation, footsteps, and game movement. It is equipped with a small microphone in each muff picks up the external sounds, which are amplified and fed to a small speaker in each muff. The electronic earmuff is capable of blocking loud sound as high as 80-90 dB. It enhances the whole hunting experience because it lets you hear normally while protecting your ears from loud sounds; sometimes it even lets you hear louder than normal. The enhancement makes it possible for you to hear everything and talk in normal tones. The best ones come in two or four microphones for maximum coverage and are typically powered by common AAA or 9-volt batteries, although some models use rechargeable batteries. For additional protection, some hunters recommend the use of a suppressor on the firearm. These are more expensive than muffs but can provide at least 35 dB sound reduction, which can be an additional help. To give you an idea about decibels, what’s normal and what’s harmful, a normal conversation occurs at 60 dB, lawn mowers run at 90 dB, a jet engine at 140 dB. A gunshot is reported to be at 140 dB or more. With constant exposure to loud sounds 90 or above, you are prone to having hear loss overtime. Not only that, hear loss is often accompanied by tinnitus (ringing, hissing or humming in the ears), which can be greatly discomforting. The decibel of a gunshot also depends on the type of gun used. The loudest among the commonly used firearms in hunting is the 44-revolver at 170 dB, the M-16 at 160 dB, and the lowest .22 rifle at 145 dB. Therefore, shooters and hunters are exposed to some of the loudest, most dangerous noises anywhere in the world. To tag the ability of a muff to protect you against noise, there is the so-called Noise Reduction Rating (NRR) that can be found in the packaging of muffs. You can choose the right one for you, depending on preferences and extent of protection. The NRR is the hearing protection rating method used in the U.S. The current range of NRRs available in the U.S. market extends from 0 to 33 decibels. Protecting your hearing can be obtained easily so you shouldn’t gamble it, as the consequences are much greater compared to getting a $30-worth hunting earmuff. If budget is really your concern, you can even get it as low as below $10. Protecting your ears from permanent hearing loss is not very expensive, most especially if you’re a seasoned hunter who is always exposed to loud, damaging sounds.